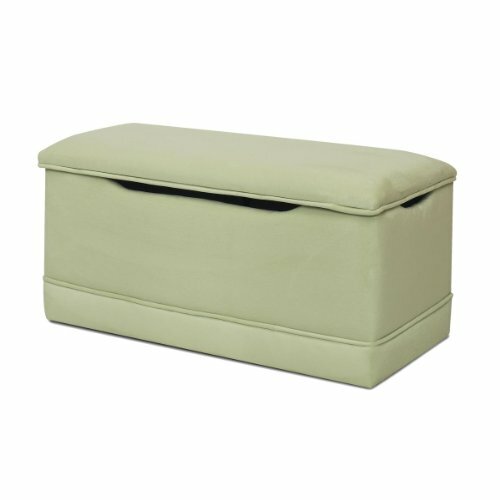 This fully upholstered toy box is the perfect storage for your little one's toys. Help your little one stay organized with the toy box of her dreams. The attention to detail on this handcrafted toy box will make your child feel super special. The toy box is constructed with a hard wood frame covered with soft, comfy foam and fully upholstered in a polyester fabric that is soft, durable and easy to clean. The toy box lid automatically slows on closing to protect little fingers. Clean with mild soap and water. Other items sold seperately. Made in the USA. If you have any questions about this product by Newco, contact us by completing and submitting the form below. If you are looking for a specif part number, please include it with your message.